The best hair and make-up look for a wedding is timeless, defined and all about making every bride not just look simply beautiful, but feel that way. 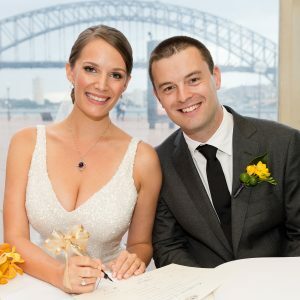 Petrina and her dedicated team of talented hair and make-up artists will help make sure that your wedding day really is the best day of your life. Petrina and her team uses a combination of different professional make-up products from iconic brands such as Mac, Bobbi Brown, Laura Mercier, Giorgio Armani and Stila, as well Petrina’s own exclusive signature range, Studio Petrina Milas.Our brides also love smudge proof, kissproof LipSense lipcolours, designed to withstand hours of smiles, kisses and champagne. No-one knows better than a make-up artist that beautiful skin is the basis of beauty. 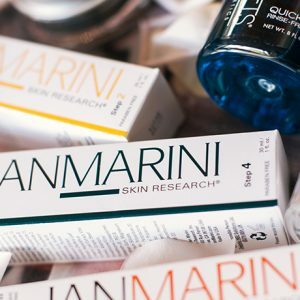 Petrina stocks Jan Marini Skin Research, which is at the leading edge of the latest rejuvenation skin care. At your trial run, you can have your skin care assessed and tailored to get your skin glowing for you day. Our commitment is to find your perfect look for your wedding day and to help make your day as relaxing and stress-free as possible. 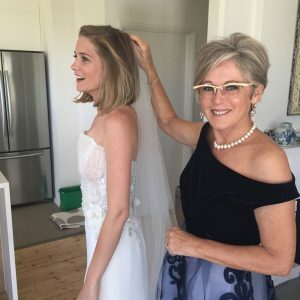 We will be there to do everything from your hair and make-up to pinning flowers, calming your nerves and giving you last minute touch ups before you step into your dress. Bridesmaids and Mothers of the Bride and Groom want to look picture perfect too. 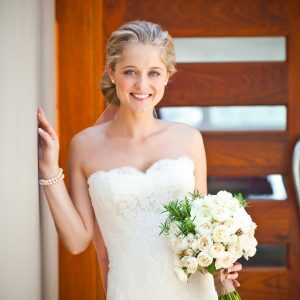 Our goal is to make sure everyone in the bridal party is delighted at how lovely they look in the wedding photos. Naturally, we’ll want to meet each other – the most important thing is that you feel relaxed and confident with your stylists on the day. We do our Bridal Trial Runs at our relaxed Northbridge Studio, where we take as much time as we need to create the perfect look for you. Bring some reference shots to show us what you have in mind – or if you are not sure, leave it to Petrina’s expert eye. We discuss everything in detail with you at your trial run – the style of your wedding, your colour scheme, tastes and preferences and whether you’d like to look fresh and natural, classic and sophisticated or gorgeously glamorous. Don’t worry if you’re not sure of what you’d like; with our experience we’ll be able to give you a perfect, individualised look. We’ll also give you lots of beauty tips for the lead-up time to your wedding, including advice on how to pose for photos. We have powder compacts, blotters and lip colours if you need to purchase them for touch-ups on the day. We also carry a variety of quality real hair clip-in and tape hair extensions if you’d like more volume in your style. I just wanted to thank you so much for all your wonderful help on Saturday for our wedding. It was just so lovely having you both around – you made everyone feel very comfortable and relaxed and our make up and hair was perfect and very ‘us’. It was beautiful! We had a fantastic day. For wedding makeup and hairstyling enquiries please complete this form and we will be in touch shortly.